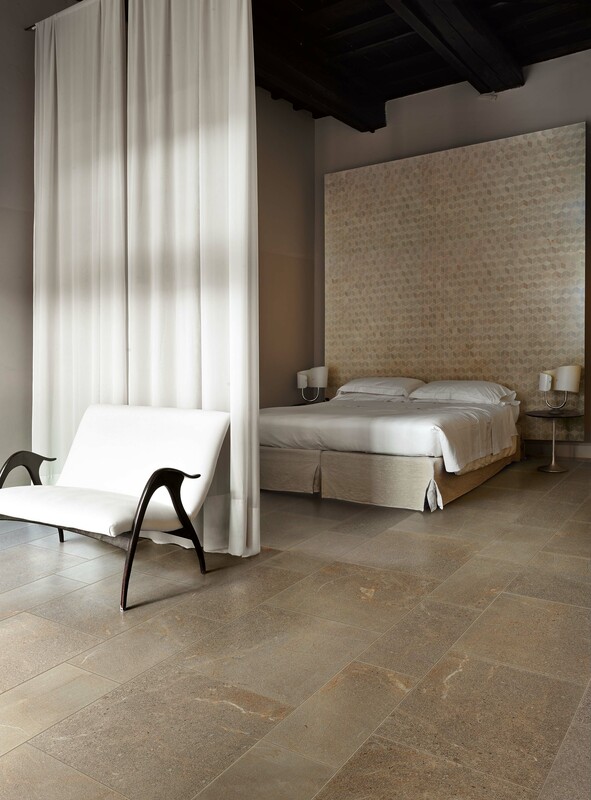 Natural stone floor tiles, by their very nature, are each formed from unique pieces of natural rock. It is important, therefore, to be fully aware of their characteristics when choosing such tiles in order to know what to expect and not be disappointed with your choice. Natural stone floor tiles, without a doubt, will bring a touch of unique beauty to your home but it is important when buying natural stone tiles to fully understand their advantages and disadvantages so that you know exactly what to expect once your floor is laid. Whilst natural stone is considerably more affordable now than it has been in the past it is still not a budget option. The cost of installation is higher than for ceramic tiles or porcelain tiles because professional equipment is usually required and it is a harder job for a DIY enthusiast. But if you are convinced by the natural look then ceramic tiles or porcelain floor tiles will be no match for their unique beauty. Perhaps the most important point to understand is that the unique element natural stone brings to your home means that each tile and every piece of stone is different. Even tiles from the same quarry, same manufacturer and same batch will not be identical to each other. If you are looking for perfectly matched tiles then stone is probably not the ideal choice for you but if you are looking for a natural uniqueness then read on. So you have seen a display of tiles you like in a showroom but it is important that you view the actual batch from which your tiles will be coming before your make your final choice. Any samples available will not be exactly like the delivered tiles – the colour and veining will be similar, but different. What this means is that you have to expect to get a certain overall look with natural stone not an exact colour match. The next most important point to be aware of is the surface texture. Rarely will a tile have a perfectly flat surface so there are likely to be dents on the face of the tile and chips at the edges of some tiles, although this is more likely on the softer materials like limestone and marble. Then you have to be aware of the thickness, hardness and porosity of your chosen tile in relation to where the tiles will be laid. Obviously, soft stone would be unsuitable for a hallway and a porous stone would be unsuitable for a bathroom. So make sure you choose a tile that is appropriate – with natural stone there is more to consider than just looks. Grout is available in such a wide choice of colours and textures that the choice of grout is just as important as the choice of tiles. Whether you choose it to match or contrast with your tiles it is a key factor in the success of the finished look. You also need to think about the maintenance of the grout- a pale coloured grout in a heavy traffic floor is likely to get dirty very quickly – and also the fact that temperature and humidity can affect the colour of the grout. Do the tiles need sealing? 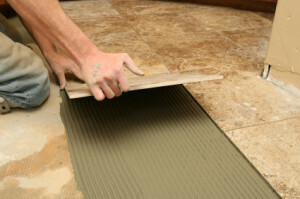 The necessity to seal a natural stone floor depends very much on the type of stone used and the location in which it has been laid, such as a heavy traffic hallway or a shower room. But the simple answer to the question of whether natural stone tiles need sealing is yes. 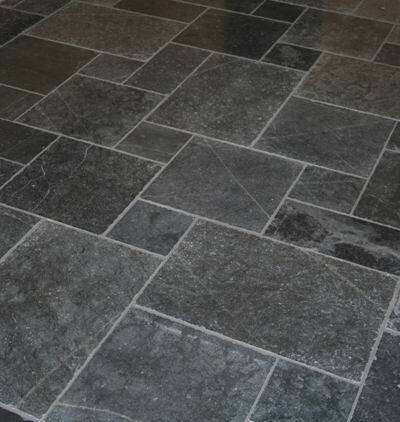 A good sealant will protect the floor from stains, make it less porous and preserve the stone’s unique beauty.